A NEW pop-up visitor experience and store has opened in Bedford House in the heart of Belfast's historic Linen Quarter, showcasing the wares of more than 30 of the north's leading linen entrepreneurs. ‘Linenopolis', located opposite the Grand Central Hotel on Bedford Street, is the first-ever experience on the island of Ireland wholly dedicated to linen, providing both an insight to its social, economic and cultural history and a showcase for the best in contemporary linen brands as part of the first Linen Biennale. 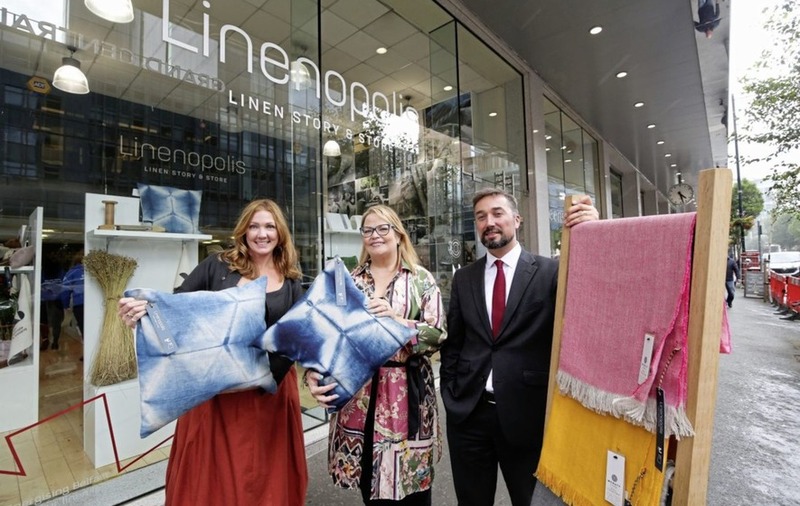 In a nod to the heyday of linen in Belfast, Linenopolis includes story boards, images and artefacts highlighting the city's linen heritage, accompanied by entrepreneurs including Katie Larmour, Mourne Textiles, Flax Fox, 31 Chapel Lane and Placed Ireland displaying their artisan wares. The temporary attraction - which will be open seven days a week until the end of September - has been conceptualised and produced by the Central Business District, with support from the Linen Biennale and Heritage Lottery Fund. Linen plays a central role in the Belfast Story; bringing huge wealth and employment, driving rapid population growth, and directly contributing to Queen Victoria awarding Belfast ‘city status' in 1888. By the second half of the 19th century, Belfast boasted the largest linen industry in the world, and many of the red brick buildings in the Linen Quarter, now being comprehensively regenerated, were built to house the offices and warehouses of the industry. 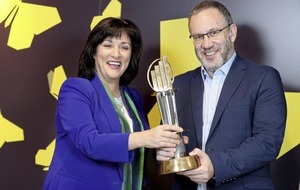 Chris McCracken from Belfast's Central Business District, which represents 440 businesses in the area, said: “One of our first goals when we launched in April was to create innovative opportunities for entrepreneurs and we're proud to support the creative arts in this way. Anthea McWilliams and Robert Martin, co-founders of the first Linen Biennale (www.linenbiennalenorthernireland.com) said: “The linen story is a rich heritage for us all to celebrate and it's fitting that it has a new home within Belfast's Linen Quarter.